Download the Daily Wonder App! From the moment they met in the page of Wonder, it was clear that Auggie and Julian were never going to be friends. Julian is nasty, mean, and downright cruel to Auggie. But why? Is Julian just a born bully who is mad that things have changed in his school? Or is there something more to his story? And does he have a chance for redemption? In The Julian Chapter, readers will finally get to see the world through Julian's eyes and get a glimpse at his not-so-straightforward side of the story. To prime fans of Wonder(2012) for the upcoming 365 Days of Wonder: Mr.Browne's Book of Precepts, Palacio has dropped this bite-size, but still tear-tugging, Kindle Single. Readers know Julian as the bully who gave the facially deformed Auggie a hard time, but this story shines light on Julian so that his blacks and whites become shades of gray. Julian, who delivers his story in exclamation point–filled prose, is revealed to be an emotional kid prone to nightmares, and Palacio allows that some kids would be flat-out scared by Auggie’s looks. Julian’s shock upon first meeting Auggie is almost inexpressible: “Dude! Dude! Dude! Dude! Dude! Dude! Dude! Dude!” Given Julian’s personality, the notes he writes Auggie feel less relentlessly cruel and more the acts of a kid who doesn’t think things through; Julian is shocked to hear himself described as a bully. It’s his parents who guide the rest of his story, taking up arms against the school with Julian as a mere bystander, and this, more than anything, will earn readers’ sympathy. Palacio revisits Julian, the most disliked character from her debut novel, Wonder. When Auggie Pullman first entered Beecher Prep, Julian was one of the students chosen to help him navigate the new school. Instead, Julian went out of his way to make life miserable for Auggie. But why? Was he just a bully or was there something else going on? And did he ever feel bad about his actions? Although it starts off predictably enough, Julian's story is full of surprises that emphasize the overall theme of compassion, not only for the victim, but also for the bully. Children will learn an important lesson about walking in another's footsteps when they discover what really motivates Julian's actions. My favorite book of 2012, Wonder has a new companion: an e-book, out this week, called The Julian Chapter. In 86 pages, it tells the story of Wonder from the point of view of the bad kid in the book—the bully. The hero of Wonder, if you haven’t had the pleasure yet, is August Pullman, a 10-year-old with a face that is startling and even scary to look at (the result of a chromosomal abnormality and an illness). He goes to regular school for the first time in fifth grade. It’s tough going, for him and for the other kids, especially for Julian, who behaves atrociously toward Auggie. 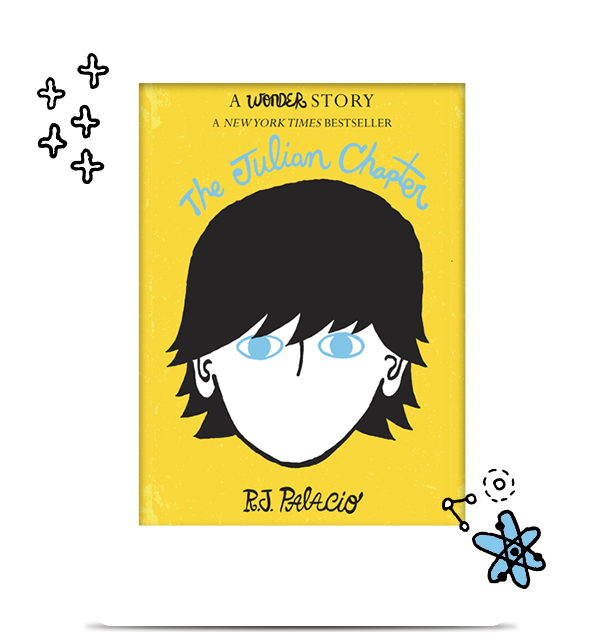 In The Julian Chapter, author Raquel Jaramillo (pen name R.J. Palacio) gives us Julian’s backstory to explain his motivations. Better yet, she partly redeems him. I’m so glad she decided to add this dimension of compassion to her story, which kids across the country are reading, in school and out. So I called her to discuss. 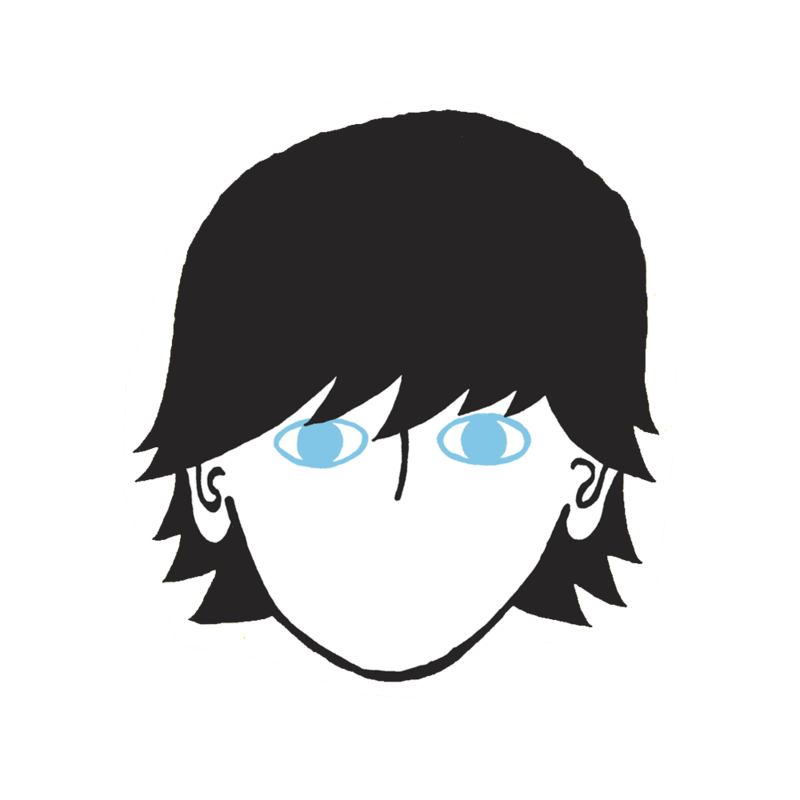 Slate: Julian’s perspective isn’t included in Wonder, even though some chapters are narrated by characters other than Auggie. Why did you decide to write in Julian’s voice now? Raquel Jaramillo: I always had a backstory for Julian. But it was pretty negative, and I felt like it would have hijacked Wonder. It was too long, in proportion, to include in the book. But so many people really, really wanted to hear from Julian. Slate: Like me! And I think this e-book is the perfect format. Did you also set out to redeem him? Jaramillo: I was researching 365 Days of Wonder, another companion book that will come out in August, and I came across one quote I loved so much: “Be kind, for everyone you meet is fighting a hard battle.” If you look at people that way, with a little compassion and tenderness, you come away with a better worldview. And always with little kids, there is something redeemable. I wanted us to understand what was motivating Julian’s anger and hostility toward Auggie. And allow him the possibility of a little bit of an epiphany. You may be too modest to include this, but it was really after reading your book, Sticks and Stones, that I got into telling the bully’s story. As you pointed out, so much of bullying is not as simple as painting one kid as the bad kid. It’s so easy to go in and condemn, but it doesn’t help. Jaramillo: Yes, often we’re mean to what we’re afraid of. We’re cruel to the thing we don’t understand. Julian was afraid of Auggie, but he didn’t know quite how to articulate it. He didn’t get the help he needed. That’s at the root of his hostility. Slate: Who’s responsible, his parents or the school or both? Jaramillo: His parents blame the school. I don’t agree, because I think the school handles [Auggie’s enrollment] in exactly the right way. I don’t think the school needed [to send students and their families] advance warning. On the other hand, I can understand why the mother of a child who suffered night terrors might have appreciated that. You can see both views. Slate: I thought to myself: OK, Auggie makes Julian uncomfortable. But isn’t that just life? Jaramillo: Yes, but Julian’s mom wants to protect her child. She wants him to have the easiest time possible in every situation. Who doesn’t want that? But you don’t do that at the cost of another child, ever. In wanting to make everything so lovely and beautiful and perfect for their kids, parents like Julian’s mother really go too far. Slate: I read the first part of the book out loud to my kids last night, and they were completely and utterly appalled by Julian’s mother. By the end, though, don’t you redeem her just a little bit, too? Jaramillo: I wanted her to have a moment of self-awareness. We don’t quite know what motivates her. At the end, maybe she is tired and a little embarrassed. Or maybe she is truly sorry for the pain she and Julian caused Auggie. Or maybe she is just thinking about herself and son. Julian’s mom is all about Julian. Slate: What about the other moms? There is a scene in which one of them starts to confront her but then backs down. And I thought: Oh, this is what I call the “parent bystander problem.” I hear about it a lot when I go to talk at schools. It’s hard for other parents to take on the mother or father who is defending the child who is acting like a bully or building a wall of social exclusion. Jaramillo: One reason I wrote Wonder was to anonymously address how I wished other parents would behave. I think parents are so eager to see their kids not on the bottom of the totem pole, as they perceive things socially, that sometimes they’re willing to turn a blind eye to whatever they think their kids need to do to not be on the bottom. Sometimes that includes letting kids be a little meaner than they should be. There is such a fine line between meanness, social isolation, and bullying. Slate: Without giving away details, Julian’s grandmother is an important new character who fills in his family history. Why did you bring her in? Jaramillo: Julian wasn’t getting the tough love he needed from his parents. Julian’s grandmother is also very integral because her storyline really resonates with Julian. I always believe the best way to teach kids is by storytelling. Slate: You mean that stories get under their skin? Jaramillo: Right. You can wave a finger at a kid and tell him how to behave, or you can show him how to be through a story. Julian couldn’t do it on his own. He had to hear his grandmother in order to get to the place he can in fact go to. Which is true for kids—they need guidance. Sometimes they don’t get everything they need from their parents. *This interview has been condensed and lightly edited.